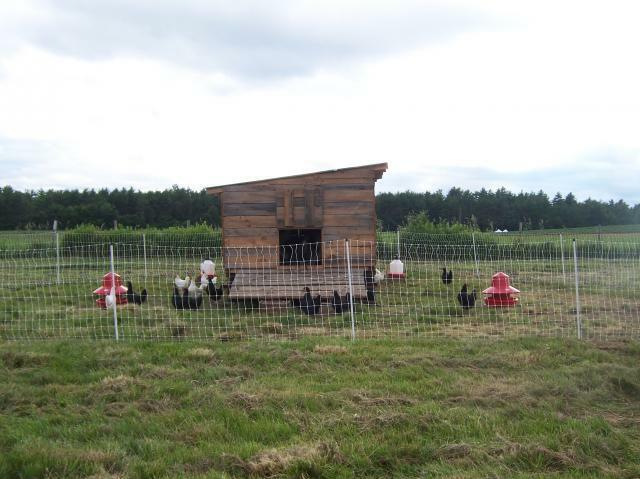 We got into raising chickens to provide our local community with great tasting eggs that are healthy alternatives to large scale egg production. 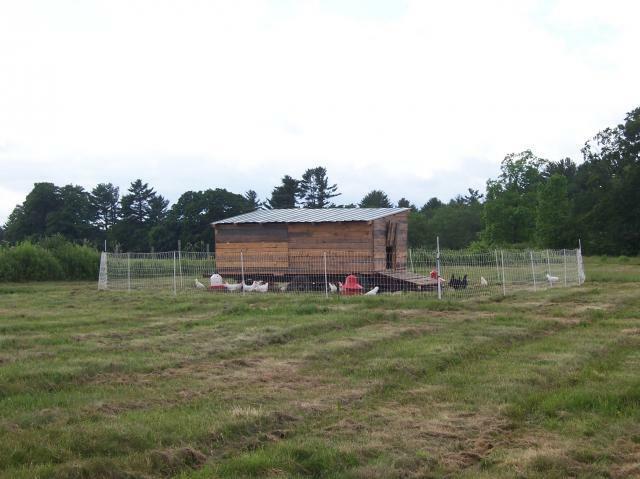 After extensive research, we decided to follow the "pasture raised" idealogy with our chickens. 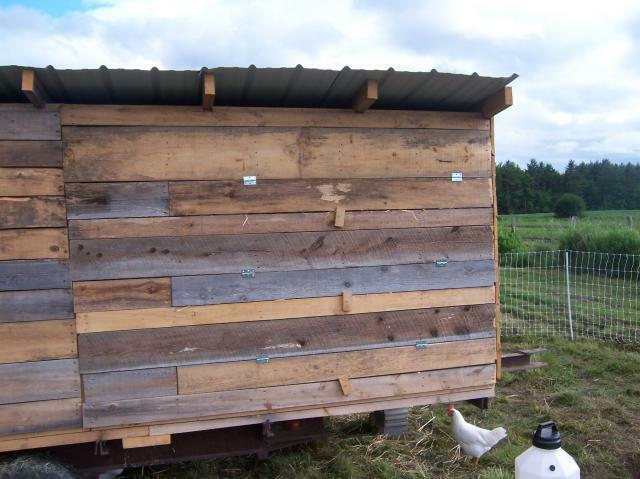 Here are pictures of our chicken trailer. These pictures were taken prior to our addition of our Columbian Wyandottes. 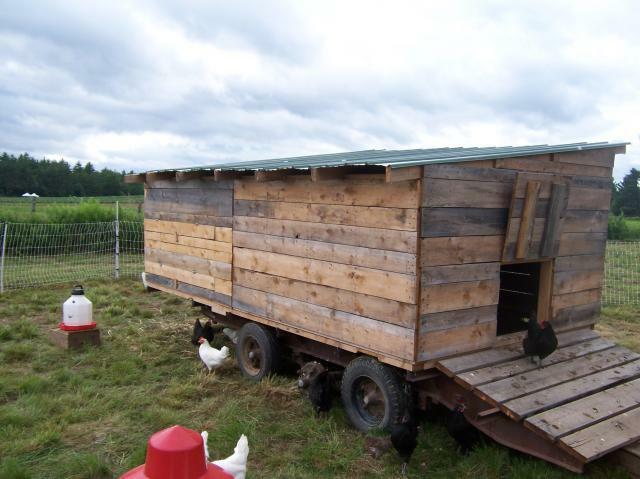 We move the trailer every 3-5 days to keep the birds on fresh pasture. 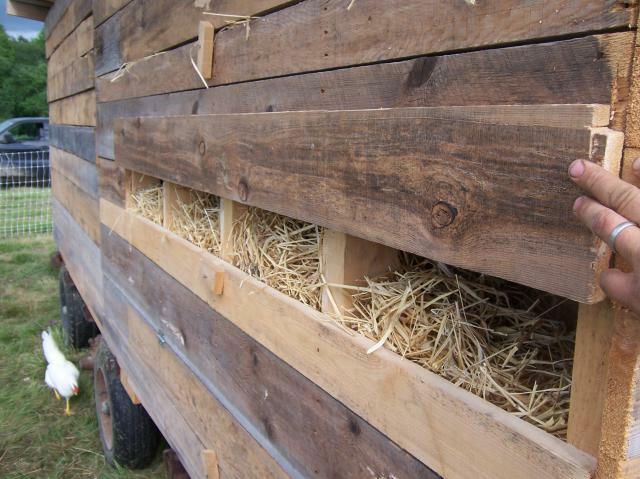 Here is a picture of the nest box end of the trailer. We can gather eggs without stepping inside. 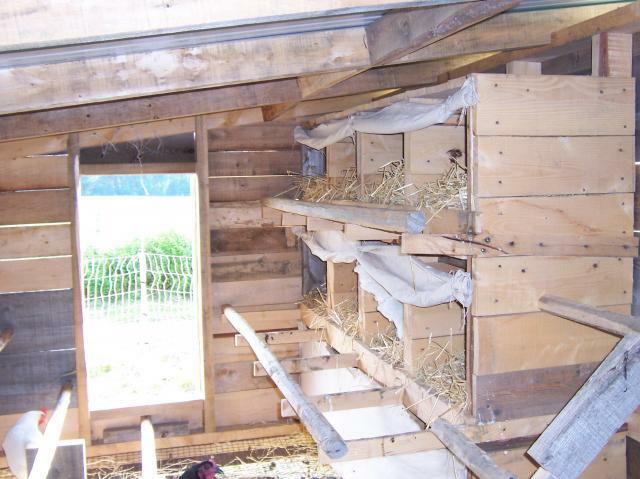 The inside of the trailer is divided into two sides, roosting poles on one end and nesting boxes on the other. Lower nest boxes are closed. 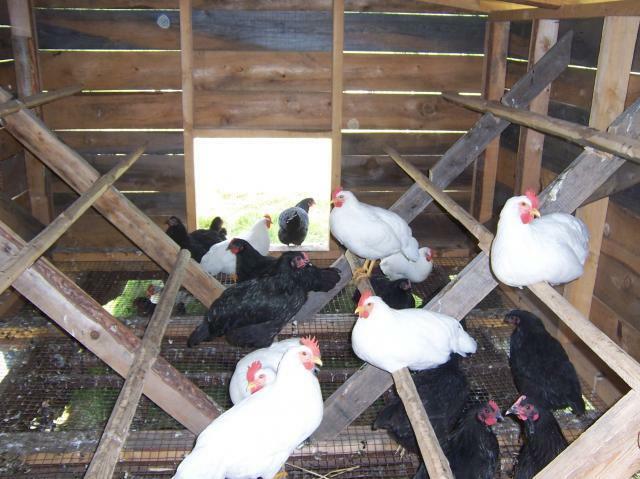 They were opened when the Wyandottes were added to the flock. If there is room enough, this is a great idea. Why not make it this big if it can be moved? 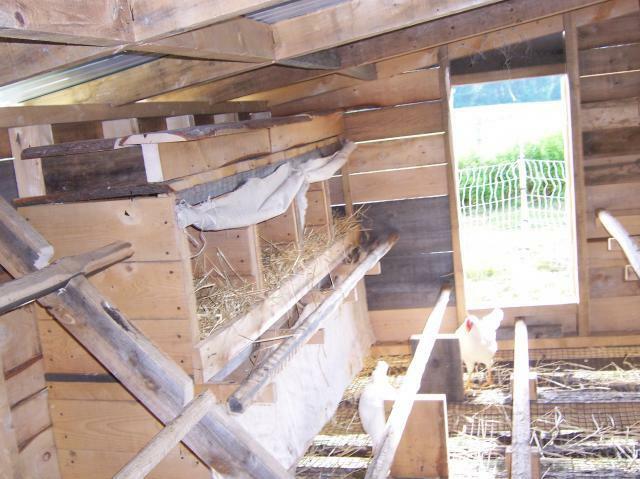 Nice coop, but some progress photos and challenges would improve it.